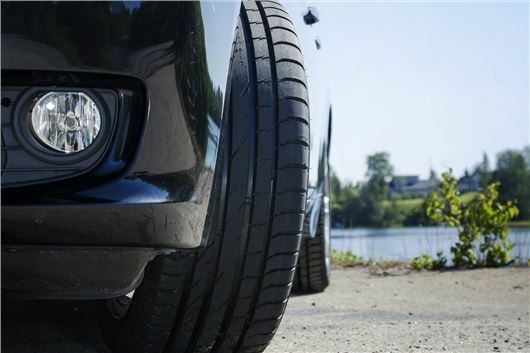 In its Summer Tyre test, the German automobile club ADAC gave the Nokian Line top ratings in all safety relevant test criteria and pronounced it "very balanced, good on wet roads, with excellent wear resistance" in its test size of 185/60 R14H. The Nokian Line received the top rating of 'good' in all safety-relevant subtests. The Nokian achieved a rating of 'good' for both dry and wet conditions and its low fuel consumption. The German automobile club ADAC even awarded a 'very good' rating for its low wear rate. The Nokian Line is also test winner with the German consumer organisation Stiftung Warentest, earning the assessment Â“goodÂ”. The Nokian Line also achieved a top rating of 'good' in all safety-relevant criteria of the test of the tyre size of 205/55 R16 V, which was also performed by ADAC and Stiftung Warentest. In addition, the Nokian Line is test winner by the Swiss TCS and the Austrian AMTC automobile associations; furthermore, it received a top rating of 'good' from the Austrian consumer magazine Konsument. The sporty Nokian zLine achieved a further success in tests: "very recommended" by the German car magazine Auto Zeitung. "Good performance on dry roads by the Nokian zLine. Low rolling resistance, rather safe handling on wet roads." 35 summer tyres of the sizes 185/60 R14 H and 205/55 R16 V were tested by ADAC and Stiftung Warentest according to strict criteria and requirements. 14 summer tyres of size 225/40 R 18 92 W/Y were tested by Auto Zeitung. Nokian has also introduced a new summer tyre for SUVs that is extremely resistant to wear and has high performance, high safety and exceptional durability due to Nokian Aramid sidewall technology. The Nokian Line SUV for versatile SUV use offers great comfort, maximum durability and a strong grip on wet roads. In addition, this summer tyre for popular small and medium-sized SUVs uses little fuel. The sporty Nokian zLine SUV summer tyre provides precise handling, maximum durability, safety under extreme conditions and great driving pleasure for large SUVs.